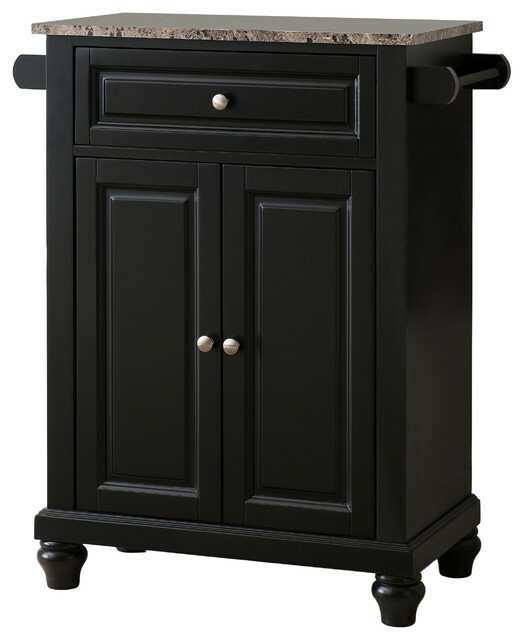 Black or White With Marble Finish Top Kitchen Island Storage Cabinet. This storage cabinet acts as a space saver, and will look beautiful in your kitchen. You can store in there all your everyday kitchen needs that you constantly need on hand in the 2 door cabinet, and a drawer. In addition it features a towel rack for you hand towel or dish towel. Once you have it, you won't know how you lived without it!